After getting some comments on my website about people seeking to apply for a job at Publishers Clearing House llc (PCH). My curiosity got the best of me and I wanted to take a peek of it. Keep in mind that my website is not at all an employment or some job opportunities related website. So I did get some information for you. But before, I want to tell you that I will be posting soon about the new PCH Sweepstakes November 25th. It’s a double cash prizes sweepstakes. Indeed, Now it’s the PCH 10000 a week For Life Sweepstakes. Stay tune for the next post. So until then, here’s what found about Jobs And Careers At Publishers Clearing House. That might interest you or someone you know. 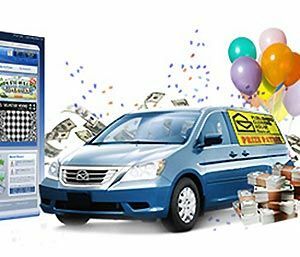 Founded in 1997, Publishers Clearing House is a Direct-Marketing Company and well known for its promotion of various products and magazines, but more so for its promoted chance for people to win the big prize, even though it is not required for a person to subscribe to any magazines. Some of the jobs that the company advertises for include some of the normal positions one would expect to be offered by a large direct marketing company that does large volumes of business. Publishers Clearing House Jobs ? One position advertised was for a full-time copywriter with experience with a direct marketing company. The responsibilities would include the writing and proofreading of copy, the reviewing of catalogs and websites of competitors. Another is for a freelance senior copywriter who will be fully involved in content strategy as well as reviewing the copy of competitors, as well as testing and optimizing new copy. Another position advertised was for a professional direct marketer with at least 5 years of experience and 3 years of background in eBusiness. The ability to meet short deadlines is critical as well as the ability to be able to interface work across teams being required, while working in a fast paced environment. One positioned advertise for was a contract job for an experienced graphic designer with an advanced knowledge of Photoshop Illustrator. This person will collaborate of the design and development of a global website, with numerous micro sites, and other connective and innovative design features. The list goes on, but the bulk of the need for jobs is for copy-writing and copywriting revision positions. There is an ongoing emphasis on studying the production of competitors so as to keep up to and ahead of the competition. These are highly skilled positions, so the candidate should be at the top of his or her game when applying for these positions. Winning lucky over would most definitely light up the sky for my family and friends to whom I’m eager to bring it home for. I would Love to win the BIG CHECK and help support my family. I would like to meet you’all. I was playing Winloot and my machine crashed. I lost my place, but I think I found it. I just had back surgery, tough recovery. Pray for me. I want to win this. PublishingClearingHouse, I really want to win so I could live a independent life again. I been on Disability over 19 years. There are some many charities close to heart that I would like to help out. If I hope to win to help my daughter and her financial problems and my. Help my granddaughter in college. I really would like to send Onjanae some money to put on school account. I would love to buy a house because I lost my house to foreclosure, I live in it over 21 years. I been practically almost homeless staying with my daughter and her five children the house is to small. So, this indeed would be a blessing at the same time. It would allow me to live each day with out where about how I would survive. Bring total disabled and every where I go for help turn down like food or help to pay light, gas and water bills. I ‘m turned Being turned down every time I go some where and they tell me can help or not qualify. I hope and pray that I win ” Set For Life “. ” Set For Life” ( PCHGwy.no.4900)! $7,000.00 A week For Life can help me a whole. Buy a new house,furniture and appliance & New or use car. Buy food pay bill, l made live independtly again I’ve been on Disabilityfor a long time. There are some people and charities close to my heart that l would love to help out. If I win l would love to help my Grandaughter College education. I lost my house to foreclose I live in my house 21 years. I’ve been practically almost homeless staying with my daughter l very not happy. So, this indeed would be a blessing and a answer to my prayer, at the same time.It would allow me to live each day without wording about how l would survive. Bring total independent not being turned down every time l go some where for help or food. I praying and hoping that I win! Thank You Publishers Clearing House! $10,000.00 A Week For Life PCHGwyNo.4900. Only in America can I have the wonderful and beautiful opportunity to win $10,000 a week for life! have four families who could use help with their medical bills. big bills. their children and their selves could use some help. my aunt and uncle need help. who I was living with needs help too. they are my family too. they have helped me when I needed it. need to win. I would love to win $10,000.00 A Week for life pch. Yes I would love to win $10,000.00 a week for life. 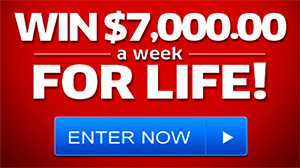 Hi…I WISH THAT I’M WINNING $10,000 WEEK FOR LIFE. I’LL TAKE A JOB EVEN IF I WIN, BECAUSE I RATHER SHOW YOU. THEN TELL YOU. IF YOU SHOW ME ONE WAY. I’LL SHOW YOU A BETTER WAY. PROMISE..